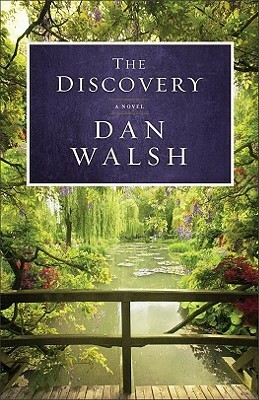 This is the 2nd book I have read of Dan Walsh and he is becoming one of my favorites. I must get ahold of the rest of the books he has written! I love how he combines just a small bit of mystery in his writing to keep you enthralled and reading. This story is one of Michael Warner and his famous author Grandfather, Gerard Warner. Michael is attending the funeral of his grandfather and inherits his stately home in Charleston along with a manuscript that has yet to be published. Michael yearns to be an author as well and with this inheritance is able to quit his day job to focus on his writing. First though he must figure out the mystery behind the journal and the manuscript and why his Grandfather left it for him to find. In the meantime Gerard’s publishers want Michael to write a biography of his Grandfather’s personal life, one he didn’t share with the public. Trouble is Grandfather didn’t share his past with his family either. Why are there no pictures of him as a child? No wedding photos. Perhaps this manuscript will lead to the answers the family is looking for. I loved how this story started out in the present with the funeral, establishing the characters of Gerard’s family first. Then we are taken back to World War II in historic description as Michael reads the manuscript that his Grandfather left behind. Full circle of love and family as the author makes that transition then back to present day as Michael processes what he has learned. Just enough faith in God put into the novel that it will appeal to those who prefer Christian novels, but not so much that it would offend those who just happen to pick up a good book to read. Just enough to enter in that small crack that someone may open up when they pick up the book. I received a copy of this book from Revell in exchange for an honest review.